I just completed a whirlwind trip to learn, contribute and create with our growing circle of international colleagues. It included Nepal; a beautiful, complex, relatively small country. 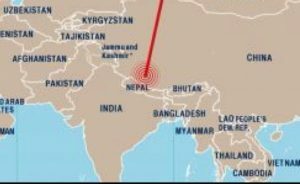 It lies between Tibet and India, with a population of 29 million. Kathmandu is the nation’s capital and largest city. Nepal’s recorded history goes back to the Neolithic age, with evidence of people living in this Himalayan region for at least 11,000 years. In the 7-8 century BC, the Hindu Kiratis arrived from the east and became the first known rulers of the Kathmandu Valley. In the 6 century BC, Prince Siddhartha Gautama was born in southern Nepal as a Hindu; he became Buddha and one of history’s most revered figures. While Hinduism is a dominant religion, the differences between Hindus and Buddhists have been minimized in Nepal. Today, Nepal is multiethnic, multilingual and geographically diverse. Eight of the ten tallest mountains are here; known for it’s trekking, many come for a chance to see the highest – Mount Everest. Nepal has a long history of political turmoil and is still recovering from the country’s 1996-2006 civil war. After the royal family was killed in 2001, there were 9 different governing bodies in 10 years. Their democratic government was dissolved in 2002 and again in 2005, along with a state of emergency. By 2005, 13,000 people had been killed, and there are continuing concerns about human rights abuses. In 2006, after the decade-long armed struggle, as well as peaceful protests for democracy, the 240-year-old monarchy was dismantled. A peace agreement was reached between the government and communist party (Maoists). It included a cease-fire and the establishment of a National Human Rights Commission and a Truth and Reconciliation Commission. This was a turning point for the country on its journey toward democracy and peace. During my time in Nepal, elections and reform are taking place under their new constitution, with a federal form of governance and a return to elected local governments, which was absent for nearly two decades. 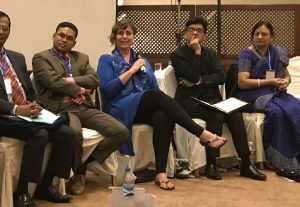 Exciting opportunities and much progress, yet Nepal continues to face many challenges, including how to resolve historic harms and current conflicts. 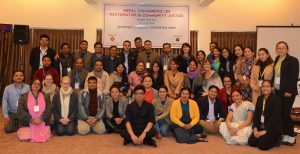 I had the honour of being invited as a resource and presenter for the first Nepal Conference on Restorative and Community Justice in Kathmandu, November 24-25, 2017. It was organized by the Nepal Institute of Justice with a focus on “Reconnecting to our Restorative Roots”. We had such a rich exchange of information and practice. Co-faciliating the closing session, we came up with many specific ideas moving forward. Contact Ram Tiwari, Nepal Institute of Justice, to receive his writings about restorative justice in Nepal, in both English and Nepali. They are already planning a second conference next year! 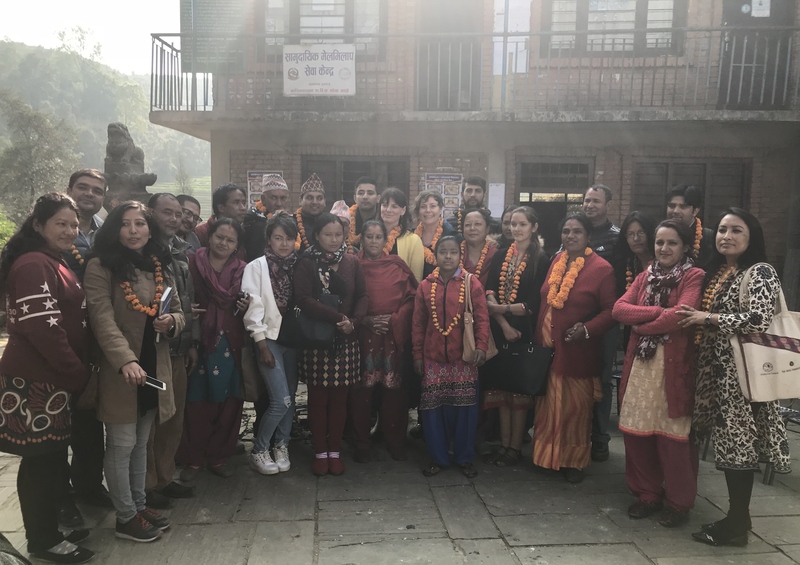 Nepal’s formal justice system is problematic and inadequate for resolving local disputes. With program officer, Namit Wagley as our guide and interpreter, I was able to go to a local village, Banepa, to learn more about mediation and dispute resolution. We received such a warm, generous welcome from 25 people, including officials. We discussed their program’s 2-year history, which began with five male and one female trained as mediators by the Asia Foundation. They had to persevere to create their new roles and educate their community to gain recognition. Without a budget, they have expanded to 13 mediators and resolved 27 cases so far. Their mediation centre is now housed in the municipality office. It was an uplifting day! I also had the privilege of visiting the Natural Resource Transformation Centre. This centre was established in 2013, with the motto, “Better Relationships for Sustainable Peace”. They specialize in natural resources based conflicts, including over land, water and forests. They have resolved hundreds of conflicts. Meeting with staff at the Asia Foundation provided further insights into dispute resolution and governance in Nepal. The Asia Foundation has supported the development of community mediaiton and training of thousands of mediators across the country. 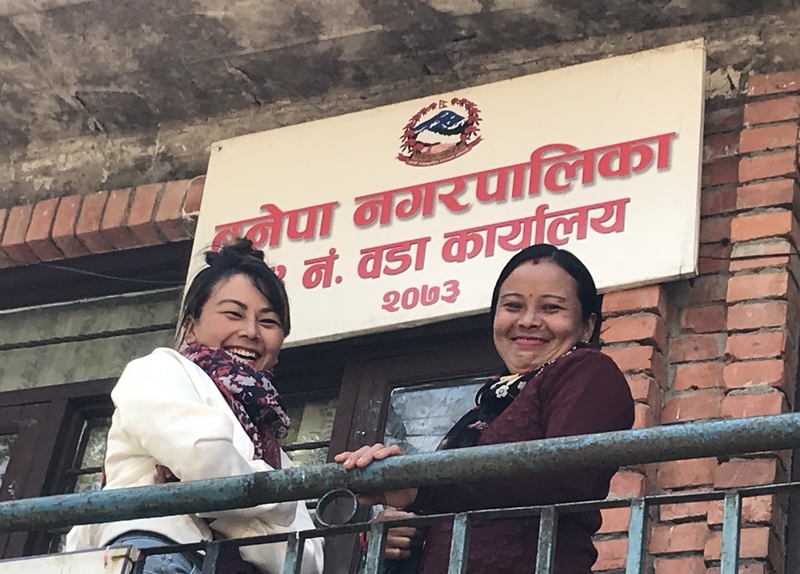 A lot of credit is given to the tireless work of Preeti Thapa. Another heartfelt meeting occurred with Santosh Bidari. He is the founder of Peace For People, and country coordinator for MasterPeace. 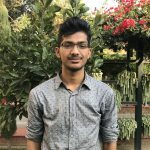 Santosh is currently focusing on building schools, creating quality education and engaging youth. His love of Nepal and commitment to creating a sustainable future for young people is strong and beautiful. We extend our congratulations and gratitude for all who are making our world a better place. Despite its popularity with tourists, Nepal is one of the poorest countries in the world and about 7 million Nepalis lack basic food, education, and healthcare. 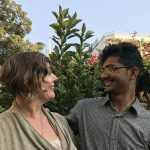 I sponsored a child through school in Nepal and was gifted with the opportunity to meet him. I cried when I found out he is now in university, studying to be a civil engineer. He’s a remarkable young man. 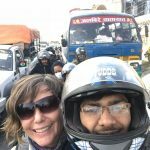 We talked for hours and he took me sightseeing on his motorcycle through Kathmandu! The simultaneity of gifting and receiving is amazing. If you are interested in sponsoring a child to go to school or to provide one time donations, feel free to contact us. 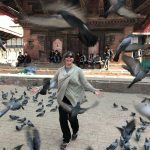 This was such a powerful, special way to complete my trip to Nepal. Thank you very much for your trip and so happy to connect with you here .all the best for the peace of circle .